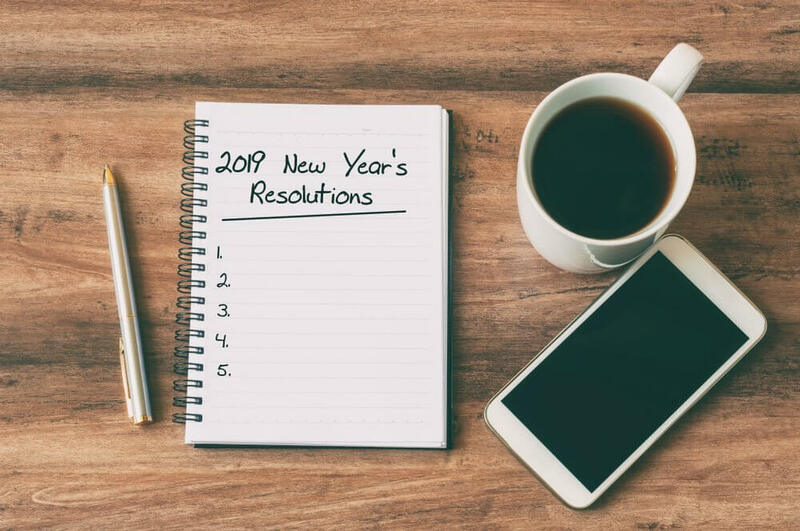 Setting goals and expectations for yourself is the first step in creating realistic resolutions. This article is the second in a two-part series, of your SEO resolutions for 2019. Use these goals to help improve your search results, website traffic, conversions, and more in 2019! This is nothing new, as it has been widely recognized for a long time that Google rewards websites that constantly have new pages to index. However, sometimes we need a gentle reminder as this is something that can fall onto the back burner when things get busy. As a general rule of thumb, you should aim to add at least two new pieces of your content to your site each month. It could be in the form of blog posts, service area pages, or additional services that you provide. This new content serves a dual purpose: Good for SEO and deeming yourself as the industry expert to visitors on your site. It allows you the opportunity to share your knowledge on a subject, show recent projects completed, etc. It’ll also provide you with more content to link back to on social media platforms! Overall, adding new content is a win-win. As local searches are becoming more and more popular, optimizing for local search results will be more important than ever this year. Making sure that your page has the correct phone number, address, hours, and description is the basics. You can also add photos, a service area, and specific products to further optimize your page. Additionally, although Google rolled out their new feature of “Google Posts” about 2 years ago, it is something that many companies still do not take full advantage of. Posting relevant content to your page can make you stand out against competitors. Email campaigns can be a great way to drive conversions and gain new business if you have a substantial subscriber list. However, often times a company only uses emails that are already in their database from previous clients, making it difficult for them to reach new potential clients. Make it a goal for yourself to grow that list this year. This can be done by adding a “subscribe” button on your website that stands out, promoting it on social media platforms, and making it as easy as possible to subscribe. As a business owner, you probably wear many different hats at your company. Managing your website, on top of running all other aspects of your business, can be time-consuming, and unfortunately often falls toward the bottom of the list. Take something off your plate this year, and enlist the SEO experts at Boston Web Marketing to take your website to the next level! We provide fresh content to your site monthly while optimizing for all of Google’s most recent algorithms. We’ll also perform off-site SEO work on your Google My Business page, manage social media accounts, and more! Contact us today to see how our team can help you.